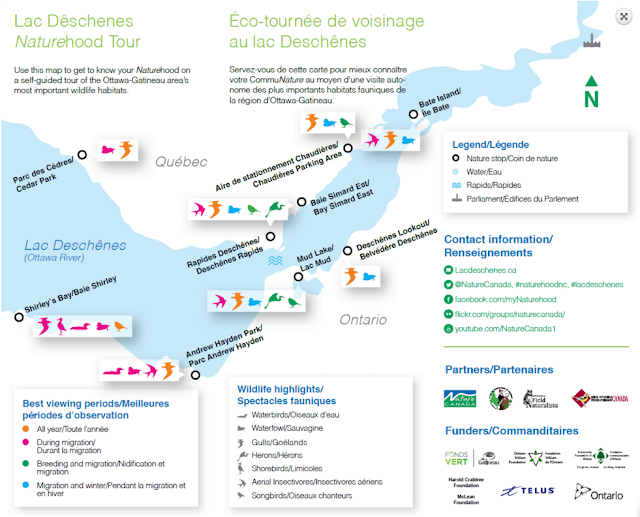 Two Cool online resources by Nature Canada! 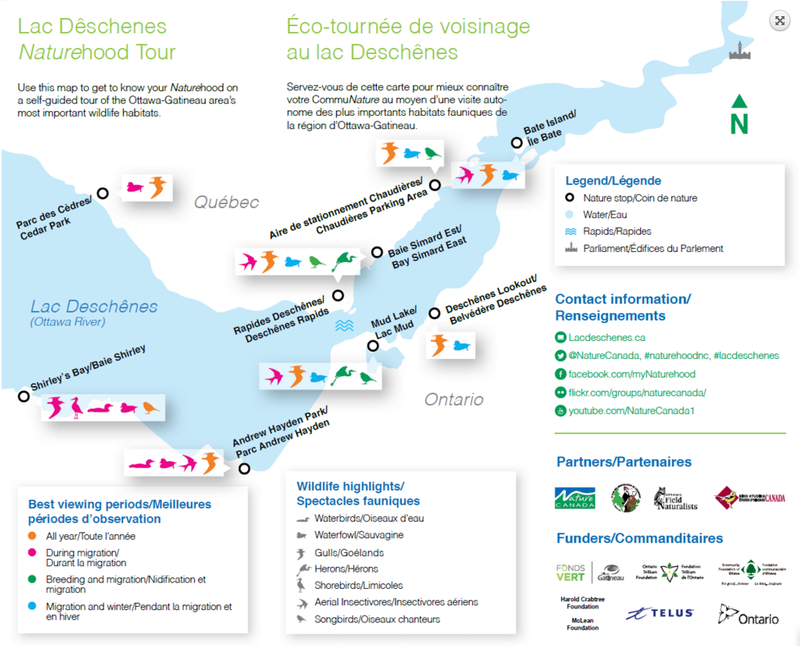 This resource highlights all the great spots for bird viewing in the Lac Deschenes area including waterbirds, shorebirds, aerial insectivores and passerines. It provides indepth information on all the popular spots on both sides including Bates island, Baie Simard and Mud Lake! Check it out here. Nature Canada is also encouraging Ottawa residents to become citizen scientists by mapping sightings of wildlife in public spaces! This includes birds, mammals, herptiles and even insects. It has a great glossary to help when reporting a sighting and there is also the opportunity to virtually explore the entries that are already there on the map. This would be fun for a family outing. Learn more by visiting the website. And speaking about the Ottawa River - Ottawa Riverkeeper has created a virtual tour for the Voyageur Pathway.